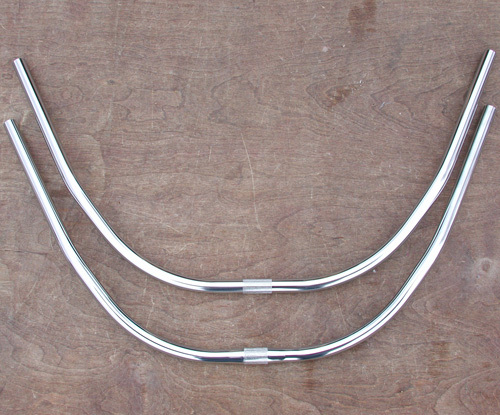 This is our Odd Alloy Fixie Bull Horn Bar or English Touring Handlebar. 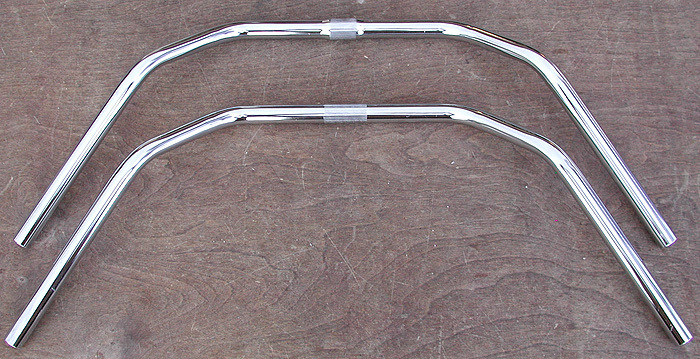 These Bars come in 2 sizes: Factory Length or cut down Fixie Bull Horn size. 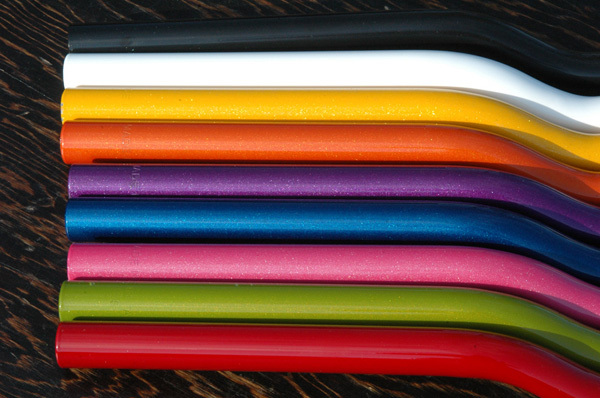 The bars are 7/8″ diameter Alloy with the Traditional Flared 1″ or 25.4mm center. These Bars are a New Old Stock LL Odd Ball find. 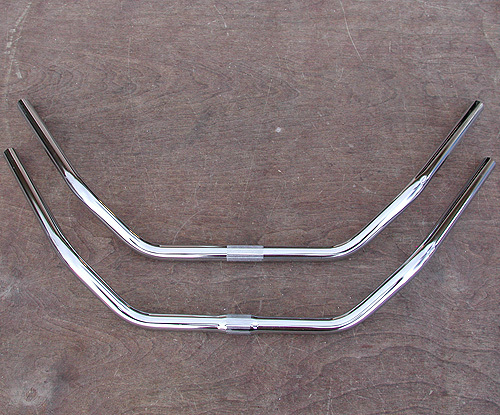 These Bars come in 2 sizes: Original NOS Odd Ball English Touring Alloy Bar or cut down Fixie Bull Horn size. 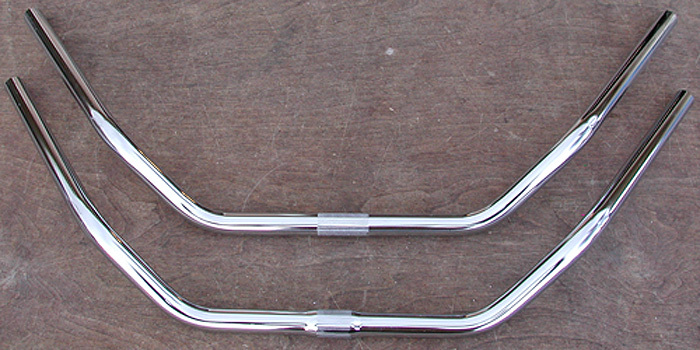 The original form is some kind of odd Alloy English Touring bar, set proper and upright this bar 19 3/4″ wide or 500mm wide and has about a 1 1/2″ of rise with a odd downward swoop before it rises. (full size weight approx. 13oz) The Cut Down Fixie Bull Horn size is inverted and trimmed for its New Fixie Bull Horn application. 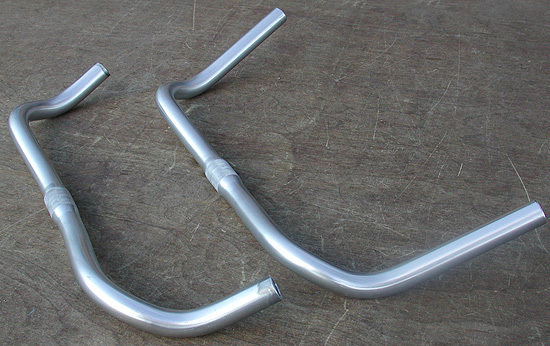 Cut Down Fixie Bull Horn bar is 18 1/4″ wide or 465mm wide and swoops back towards the rider before it turns up. (Cutdown weight approx 10oz.) 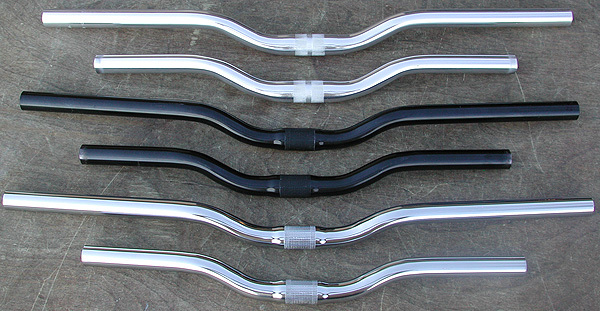 Handlebars are Alloy with a Alloy Silver finish, in classic common size that is 7/8″ diameter, and have 7/8″ rise with a Traditional Flared 1″ or 25.4mm center. 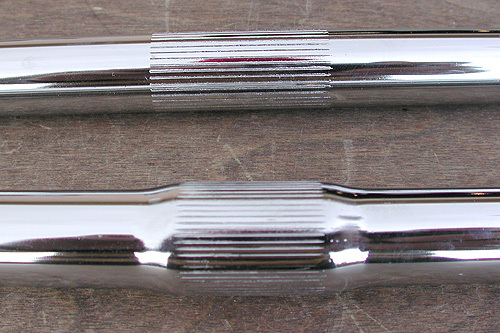 1″ Center is common with most all Classic Road and Cruiser applications. 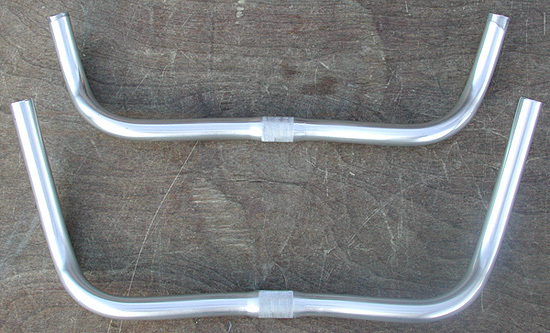 These Bars work with our Fashion Road Track Bike Quill Stems and 2 Bolt stems. Bars May Not work with some odd sized French and Italian Stems. The Fixie Bull Horn Size are hand Cut and ground clean, They will have a different finish on the end (its covered up by Tape and bar ends). This Odd Ball Handle bar is is among one of our favorite Custom Fixie bars adding a Unique look to your Ride. These bars are a NOS find when they are gone they are Gone for good. 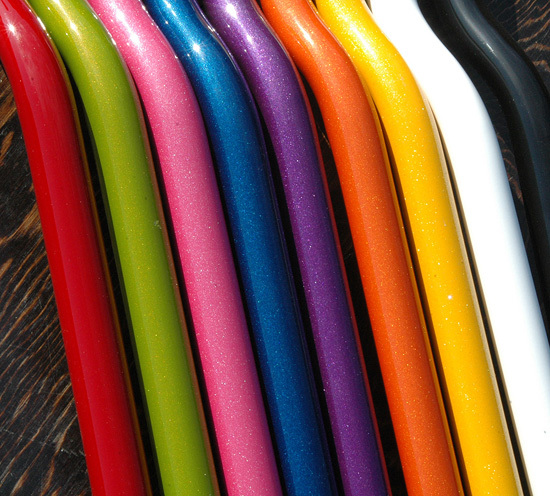 Quality look and performance for your vintage bicycle restoration or custom chopper project or Fixie Fascination.